The X1 Carbon 6gen looks great, the quality is almost perfect. It is a little bit smaller and super-light (1,2kg). The display is glossy. I usually prefer matte, but this one seems to be exceptional. It looks much more “bright”, although the red color is weird (over-saturated?). It has rubber/soft texture (for me already known from my former T440s – looks good but is difficult to maintain + the edges will probably get bare soon). The keyboard is softer and does not make any weird noises (MyX1-4gen produced rattling noises when typing). The typing seems to be more comfortable than the X1-4gen. The keyboard rattling was in fact the major deficiency I had with 4gen. It produces more heat. Noticeably less comfortable to have it on a lap. The 6gen battery gets exhausted pretty quickly. No improvement in comparison to 4gen. Wake-up from sleep is pretty quick. It is ready right as you open the lid. In Sleep mode it stays quite warm (= consumes battery). Well, the last two items seems to be interconnected. The X1 6gen comes with so called “Standby (S0 Low Power Idle) Network Connected” power profile which keeps the notebook half-alive (able to download updates etc.). After switching the Sleep mode to S3 (switch sleep mode from “Windows 10” to “Linux” in BIOS) it is cold during Sleep. The wake-up is a little bit slower in S3 than in S0, but still pretty fast. 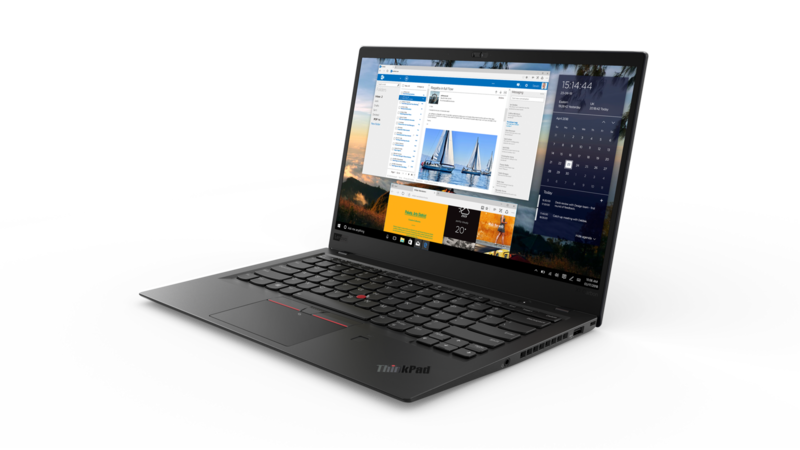 This entry was posted in Hardware and tagged Lenovo on December 5, 2018 by Robert Haken. Word has a non-breaking hyphen (Ctrl+Shift+-). If you use it in a word, it does not break the line (in opposite to the regular hyphen). If you want to mass-replace your regular hyphens in whole document (in my case, I wanted to print a morse-code quiz :-D) you can use the Replace (Ctrl+H) dialog. This entry was posted in Office and tagged Word on September 3, 2018 by Robert Haken. My iTunes (currently 12.7.3.46) consumes ~25-30% CPU whenever I listen to any music. The only trick I found to resolve this is to switch it to the “Miniplayer mode”, e.g. using Ctrl+Shift+M keyboard shortcut (use the same shortcut to switch back). It has to be a weird glitch in iTunes, but the CPU usage almost immediately drops to 1-2% CPU. This entry was posted in IT Stuff and tagged iTunes on March 22, 2018 by Robert Haken.